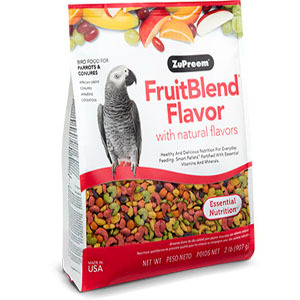 Kaytee Exact Hand-Feeding Formula is specifically formulated for baby macaws, eclectus, hawk-headed and african parrots, or other birds requiring an increased energy diet. 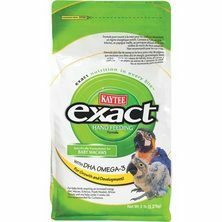 Exact Hand-Feeding Formula is made through a special process which produces an instant formula with low bacteria levels. 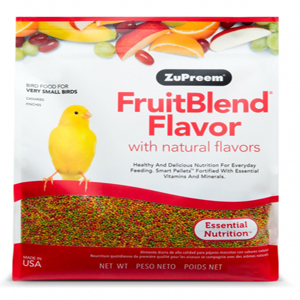 Exact”s high nutrition formula helps baby birds grow faster, wean earlier and develop better, brighter plumage than similar birds fed with homemade formulas. 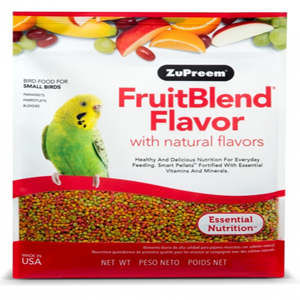 Ground Corn, Ground Wheat, Corn Gluten Meal, Ground Oat Groats, Wheat Middlings, Corn Oil, Soy Protein Isolate, Dried Beet Pulp, Wheat Germ Meal, Dicalcium Phosphate, Brewers” Dried Yeast, Calcium Carbonate, L-Lysine, Vitamin A Supplement, Salt, Choline Chloride, DL-Methionine, Potassium Chloride, Propionic Acid (a preservative), Vitamin E Supplement, Vitamin B12 Supplement, Riboflavin Supplement, Ferrous Carbonate, Zinc Oxide, L-Ascorbyl-2-polyphosphate (source of vitamin C) Ethoxyquin (a preservative), Manganous Oxide, Menadione Sodium Bisulfite Complex (source of vitamin K), Niacin, Calcium Pantothenate, Thiamine Mononitrate, Copper Oxide, D-Activated Animal Sterol (source of vitamin D3), Pyridoxine Hydrochloride, Folic Acid, Dried A. oryzae Fermentation Extract, Dried Bacillus subtilis Fermentation Extract, Beta-Carotene, Dried Bacillus coagulans Fermentation Product, Dried Bacillus licheniformis Fermentation Product, Dried Bacillus subtilis Fermentation Product, Dried Whey, Cobalt Carbonate, Calcium Iodate, Biotin, Sodium Selenite.